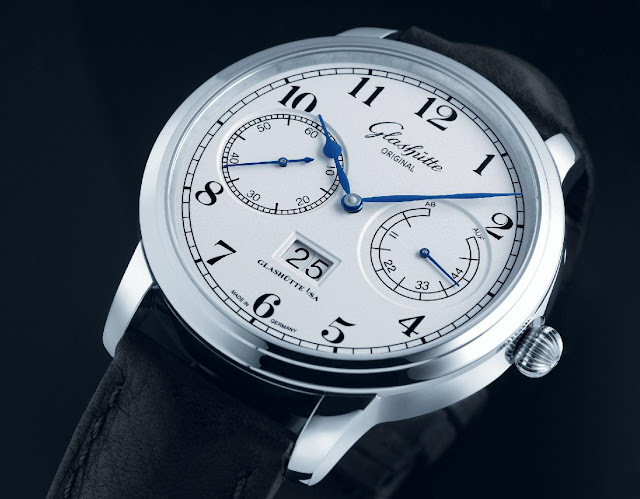 The German watchmaker Glashuette Original presents a limited edition model Senator Observer 1911 - Julius Assmann. The watch is dedicated to the memory of two outstanding individuals. One is the father of watchmaking in Glashuette - Julius Assman, whose name is perpetuated in the name of the model. Julius Assmann started his company at the age of 25 and is revered today as one of the founding fathers of watchmaking in Glashuette. Pocket watches, chronometers and observation watches crafted by Assmann and his employees were to play a significant role in establishing the company’s excellent reputation: the observation watches in particular were known for their remarkable precision and superior craftsmanship. The second is the polar explorer Roald Amundsen. In 1907, the young Glashuette watchmaker Paul Loewe crafted a watch so accurate that he was urged to send it for testing to the German Naval Observatory in Hamburg, the institute officially responsible for testing and certifying the accuracy of navigational timekeepers made in Germany. It was there that Roald Amundsen saw the watch in 1910 and purchased it for his successful journey to the South Pole. The watch is encased in a 44mm white gold classic round case. The case back, engraved with the limited edition number (01/25), has an antireflective sapphire crystal bearing the dates of Amundsen’s arrival at the South Pole and its centennial anniversary: 14 Dec. 1911 – 14 Dec 2011; the name Julius Assmann – Glashuette i/SA, and “Tribute to R. Amundsen”. The silvergrain dial of the Senator Observer 1911 - Julius Assmann has three carefully applied layers of lacquer. The dial features subsidiary seconds and power reserve displays at 9 and 3 o’clock, respectively. 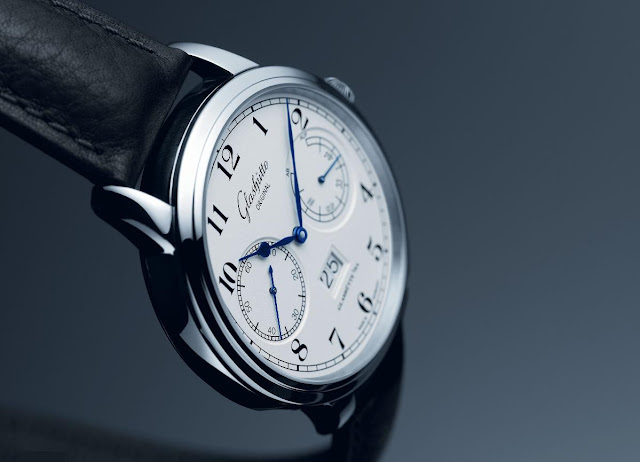 The dial also features Glashuette Original’s panorama date display at 6 o’clock; and blued and polished sweep minute and pear-shaped hour hands. A milled railroad chapter ring frames the black Arabic numerals. The watch runs on an automatic calibre 100-14 self-winding movement. Traditional observation watches used hand-wound movements so in this case the ‘Ab Auf’ indicator on the dial represents a true power reserve, rather than a simple indication of running time. The movement can be observed through the sapphire case back. The watch comes on a suitably retro brown or black calfskin strap. Glashuette Original has created the Senator Observer 1911 – Julius Assmann in a limited edition of 25 pieces.